The Department of Transportation (DOT) requires anyone who wants to obtain a new commercial driver’s license (CDL) or renew an existing license to get a CDL physical exam. Fan Yang, MD, at Healthville PLLC provides comprehensive CDL exams and completes the documents needed to complete your CDL medical certification. If you have questions or need to schedule an exam, call the office in Little Rock, Arkansas, or book an appointment online. What is required to pass a CDL exam? Anyone who wants to drive a commercial motor vehicle must get a CDL physical to verify they don’t have health issues that would interfere with the safe handling of a commercial vehicle. Vision that is correctable to 20/40 in both eyes. Both glasses and contact lenses are allowed for this correction. You must be able to clearly distinguish colors. Color blindness will exclude you from a commercial vehicle license. You must have hearing that allows you to recognize a forced whisper at a distance of five feet. Your blood pressure must be in the normal range to be certified to drive for two years. If your blood pressure is higher than 140/90, you may get a medical certificate that’s good for three months to a year. The maximum allowable blood pressure is 160/100. Using medication to control your blood pressure is permissible, but your medical certificate will only be good for one year. If you have diabetes, it must be controllable through lifestyle and diet, or through oral medication. Insulin-dependent diabetics will not be issued a CDL commercial license. Your blood sugar must be under 200. You may not use amphetamines, narcotics, or any other habit-forming medications. If you suffer from cardiovascular disease, you must submit to a stress test and have your physician send a written note stating you’re capable of driving a commercial motor vehicle without restrictions. What should I expect during a CDL physical exam? Dr. Yang takes a full medical history as part of your CDL exam. This includes information about your history of illnesses, chronic diseases, and injuries, as well as past or present drug and alcohol use. You’ll be specifically screened for heart disease, respiratory illnesses, diabetes, and stroke. You may also be evaluated for problems that would affect your ability to stay alert during long drives, such as sleep disorders and epilepsy. 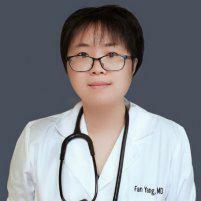 Dr. Yang will perform a urinalysis and may order blood tests or an X-ray if needed. How long are the results of my CDL exam valid? For most drivers, your CDL certification is valid for 24 months from the date of issue. You may receive a medical certificate that expires sooner if you have a medical condition that needs to be monitored or if you’ve been given time to improve an existing condition. If you need a CDL exam for your commercial license, call Healthville PLLC or book an appointment online.